I heard Celeste Ng speak at a United for Libraries hosted author event a few years ago. 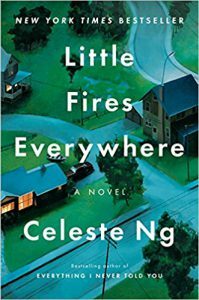 At the same event, I received an advance copy of her book, Little Fires Everywhere. I enjoyed her remarks but I wasn’t especially interested in reading the book. The book has received a lot of attention since its publication. 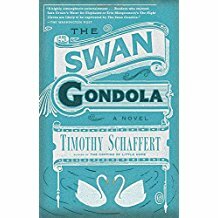 It is included on many best books of 2017 lists and it is now among three books on Lincoln City Libraries short list for One Book One Lincoln voting. During a recent and long road trip, I had a chance to listen to the audio version of Ng’s book. I wasn’t disappointed. Little Fires Everywhere begins with a house on fire and speculation about who is to blame. At the top of the list is the youngest family member – a non-conforming teen rebel. But did she do it and, if so, why? The setting is Shaker Heights, Ohio, and the story evolves from the developing relationships among members of two families – one long rooted in the community and prosperous, and the other (a mother and daughter) impoverished and living day to day under uncertain circumstances. Central are the two mothers – Elena Richardson, a local news reporter, mother of four and a well-connected community member, and Mia Warren, a mysterious artist and single mother of one. Connections evolve and conflict emerges as a result of the attempted adoption of a Chinese-American baby and an ensuing custody battle. In the background is Elena Richardson’s effort to uncover Mia Warren’s true identity. Lincoln’s three books selected for the all community read are all excellent choices. Celeste Ng’s book is worthy and notable. If chosen, it will make an interesting read and a great source for conversation. 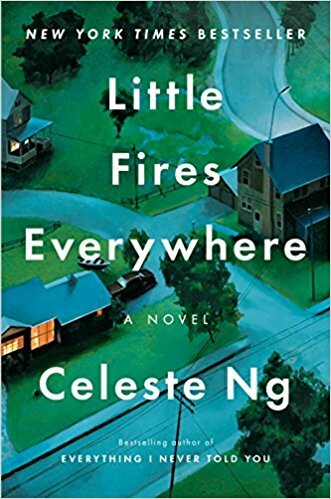 Little Fires Everywhere is Celeste Ng’s second novel. Her debut book is, Everything I Never Told You, an award winning best seller. Ng, Celeste. Little fires everywhere. (New York: Penguin Press) 2017. A colleague suggested Barbara Kingsolver’s Prodigal Summer for a recent road trip. She said the book was a great read and the audio version narration was excellent. I hadn’t read any of Kingsolver’s books and was glad to have this recommendation. As it turned out, it was after the road trip that I finally got around to listening to it. While not at all typical of what I usually read – I set aside the most recent Lee Child novel – it turned out to be an excellent recommendation. Kingsolver is noted for her focus on the interaction between humans and their communities and environments. Those subjects are notable in Prodigal Summer. The book’s setting is the forested mountains and farmland of southern Appalachia. Kingsolver blends three interconnected stories – a reclusive wildlife biologist devoted to protecting the environment, a young recently widowed farmer’s wife, and two elderly feuding neighbors. The ecosystem is central and common among these stories, as is a den of coyotes. Over the course of a long summer, the stories of these characters develop and interconnect. A relationship develops between the biologist park ranger and a hunter. There are encounters and relationships between and among the young farm wife and her deceased husband’s family members, and there is the back and forth banter between the elderly neighbors – a man and a woman. I especially enjoyed the audio narration and dialogue. Kingsolver is the narrator. 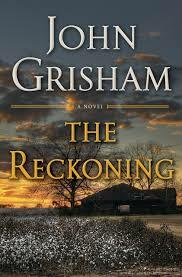 Her narration enhances the book with her ability to voice the richness of the regional dialect. Kingsolver grew up in rural Kentucky. She knows what she speaks. Her well-crafted and witty dialogue further enrich the book. Prodigal Summer was published in 2000. It is the fifth of Kingsolver’s seven novels. Her books also include essays, poetry, and nonfiction works. The meal and conversation are frequented with disruptions and flashbacks. 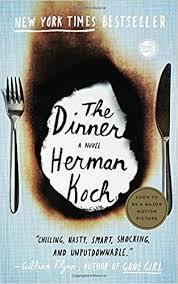 It is eventually realized that the purpose of the dinner is to discuss the two couples’ teenage boys and their involvement in a brutal and criminal act. The parents’ dilemma is the moral choices that must be made. The tragic incident has special consequences for one of the brothers, a popular and powerful politician with ambitions for higher political office. Herman Koch, the author, is a Dutch writer and actor. His writing includes short stories, novels, and columns. His most recent book is Dear Mr. M: A Novel. A movie based on the book was released in May 2017 with starring roles by Richard Gere, Steve Coogan, Rebecca Hall, and Laura Linney. Koch, Herman (2017). The Dinner. New York: Hogarth. Donna Tartt’s The Goldfinch, published in 2013, was awarded the 2014 Pulitzer Prize for Fiction. I had read reviews and commentaries about the book, looked it over in a bookstore, and considered borrowing or buying a copy. I resisted because I was daunted by its length – the hardcover edition is 760 pages. I recently found a paperback copy in a Colorado library on the books for sale shelves. For a two dollar contribution to the library’s friends group the book was mine. It’s the second longest book I’ve ever read and it was a long haul, but a good one. During the course of reading it I also borrowed from Lincoln City Libraries the excellent digital audiobook version. 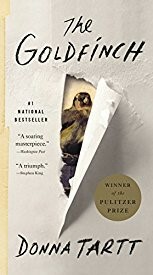 The Goldfinch begins with a terrorist act – a bomb explosion in New York City’s Metropolitan Museum of Art – and the resulting tragic destruction and loss. What follows is an evolving mystery about a missing painting – a Dutch masterwork called The Goldfinch. Included are theft, drugs, the art black market, the craft of antique furniture restoration, and the complex relationships among family, friends, friends of friends, swindlers, and much more. Art, in many forms, is central to the book. The characters are vivid, the settings are rich in detail, and the plot pulls the reader along toward a surprising end. For me, it is the kind of book you don’t necessarily want to come to an end. 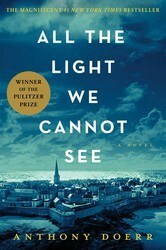 Stephen King, in a New York Times Book Review commentary, said “The Goldfinch is a rarity that comes along perhaps half a dozen times per decade, a smartly written literary novel that connects with the heart as well as the mind…..” Donna Tartt has also written the novels The Secret History and The Little Friend. Tartt, Donna. The Goldfinch: A novel. New York: Little, Brown and Company. 2013. I’ve been a Larry McMurtry fan since reading Lonesome Dove (1986 Pulitzer Prize Winner in Fiction), the only book I recall reading twice. Most likely, I’ll read it again someday. Since then I’ve read many of McMurtry’s books: The Last Picture Show, Comanche Moon, Dead Man’s Walk, Streets of Laredo, and more. Well known as a prolific novelist, McMurtry also has credits as an Academy Award winning screenwriter (Terms of Endearment, Brokeback Mountain and The Last Picture Show to name some), and has added nonfiction writings including Walter Benjamin at the Dairy Queen – a wonderful autobiographical reflection on many things – and particularly those things from his home state Texas. McMurtry self describes as a reader, writer, and bookseller. Add teacher, book scout, dealer, business owner to those descriptors. It is his passion for books, book scouting, and book dealing that many might not know of and that is the subject of Books: A Memoir. In Books, McMurtry reflects on his life-long affinity to all things books. The reader will discover that McMurtry knows books, really knows books – all kinds of books. It’s curious that McMurtry tells of growing up in a house without books and musing that it is perhaps his discovery of books that led to his lifelong passion for them. The absence of books in his home ended when a relative gave him a box of nineteen books, a small batch that the young McMurtry read and re-read many times. When his family moved from their Texas ranch home to Archer City he had opportunities to explore many other books, including those in the local public library. McMurtry’s book scouting, buying and selling happened in many places, emphasis on many. And those pursuits resulted in acquaintanceships with many book stores and book dealers – a good number colorfully described in Books. I took special notice when he mentions searching, in San Francisco, for a Weldon Kees’ book, and for Wright Morris’s The Home Place. McMurtry estimates he’s handled over a million books during his lifetime. His own collection, at the time his book was published, numbered nearly 30,000, including a few thousand reference titles. For over 30 years McMurtry co-owned, with long-time partner Marcia Carter, the legendary Booked Up book store in Georgetown (Washington DC). Booked Up was moved in the mid ‘90s to McMurtry’s Texas hometown in Archer City, eventually growing to several stores housing some 450,000 books (a true book town somewhat on the order of the notable Welsh village of Hay-on-Wye). Sadly, several years ago, McMurtry sold many of the books in these stores – described by McMurtry as “The Last Book Sale.” Fortunately, it wasn’t and he kept Booked Up No. 1, the original store. For those who love books and fine writing, McMurtry’s Books will be an enjoyable read. And for those who enjoy book stores there is a great adventure ahead in traveling to Archer City, Texas, to visit McMurtry’s remaining store. McMurtry, Larry. Books: A Memoir. New York: Simon & Schuster, 2008. Print. My awareness of Patti Smith was that of a rock musician, and more specifically one influential in the punk rock genre. There wasn’t all that much awareness and not much interest. Then I heard her interviewed on National Public Radio’s Fresh Air. I learned that Smith is not only a singer-songwriter musician, she is an accomplished poet, writer and artist. That interview was from several years ago when she wrote Just Kids, the 2010 National Book Award winner for nonfiction. Just Kids is the story of Smith’s younger years (1960s and ‘70s) as a developing artist and her friendship with photographer Robert Mapplethorpe. More recently I heard Smith interviewed on another Fresh Air program following publication of her most recent book, M Train. 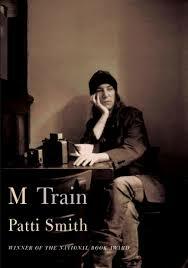 Smith is quoted as describing M Train as “a roadmap to my life.” The book is a memoir with mixed reflections about many things including her marriage to Fred “Sonic” Smith, family life, wanderings, music, and relationships. Notable to me was her favored writing locale – a Greenwich Village café – and her passion for TV cop shows. There are commentaries about her travels, New York City life, and her fondness for hot black coffee. There is also the curiosity of her purchase of a run-down seaside bungalow timed, unfortunately, just prior to Hurricane Sandy’s arrival. Patti Smith came across to me as an extraordinarily gifted yet down to earth person. Seeing her writing in her notebook at a corner table in her favorite café wouldn’t be all that memorable. But her reflections are memorable and M Train is a remarkable book. Smith, Patti. M Train. (New York: Alfred A. Knopf). 2015. As a fan of Stieg Larsson’s Millennium series I was curious to find whether David Lagercrantz’s The Girl in the Spider’s Web would be a worthy continuation of Larsson’s work. Labeled as the fourth book in the series, Lagercrantz, in my view, extended the series with notable success. 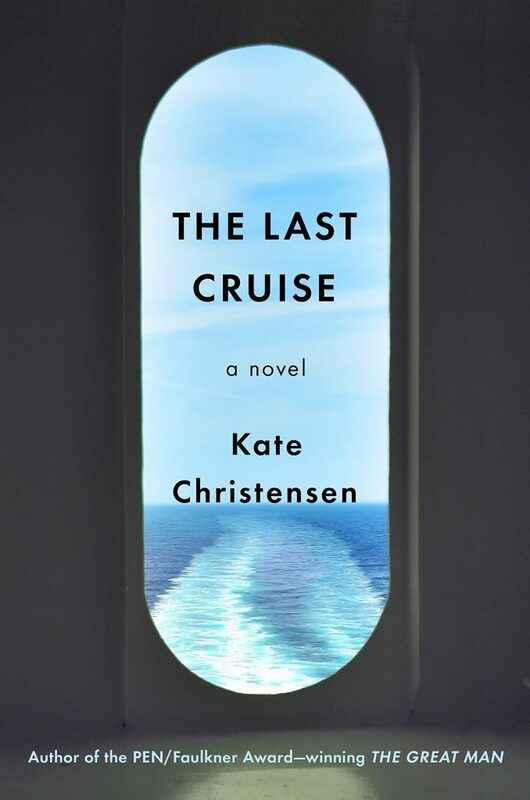 While a number of readers have posted comments that the book doesn’t have the suspense of Larsson’s books, among other things, I wasn’t disappointed in this one. The Girl in the Spider’s Web includes a mix of high level intellectual property theft, corruption, Lisbeth Salander’s evil twin sister, a Mikael Blomkvist perceived as a no longer revered investigative reporter, a rogue National Security Agency security chief, the usual police suspects, and an autistic child with a genius for math and drawing. Add in a number of familiar characters from Larsson’s earlier works plus several new ones, and plenty of bad guys. Most interesting is always the girl – Lisbeth Salander – a legend among hackers, fearless, clever, fiercely independent, and unhinged. I borrowed both hard copy and the audiobook from Lincoln City Libraries. Now I’m ready for the movie. Noomi Rapace or Rooney Mara? Lagercrantz, David, and George Goulding. The girl in the spider’s web. (New York: Alfred A. Knopf). 2015. Steve Sieberson is a world traveler – and a mountaineer. His law career has taken him to numerous foreign places. His expertise in international business has included lecturing and advising. In 2006 he joined the Creighton University Law School faculty. Sieberson’s writing includes a recent textbook on international business contracting. But for those of us not closely connected to international business his book on mountaineering is a much more interesting read. I met Steve Sieberson and his wife Carmel at an Omaha Public Library book event. It was there that I picked up a copy of his book, The Naked Mountaineer: Misadventures of an Alpine Traveler (University of Nebraska Press). Outside of his years as a practicing attorney and international businessman, Sieberson developed a passion for mountaineering. A family trip one summer from his rural home in northwest Iowa to Colorado began his lifetime fascination with high elevations. From there he read books on mountaineering, books that he found at his local library. His boyhood fascination has endured through his adult years. Sieberson’s move to Seattle and his many years there provided the proximity to enjoy his passion for the mountains of the Pacific Northwest. During his years in Seattle he was a member of Seattle Mountain Rescue and the Mountaineers organization. 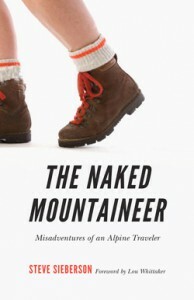 The Naked Mountaineer is a delightful commentary on Sieberson’s global travels and opportunities to climb many of the world’s highest and most challenging mountains – the Matterhorn, Mount Agung, Mount Fuji and many more. Especially enjoyable are his commentaries about his experiences as a climber – the places, the people, and the customs. His passion and his good humor are found throughout his book. Along with millions of others, I am a fan of Stieg Larsson’s “Millenium” trilogy of crime novels. Seriously, is there a more compelling character than Lisbeth Salander? Those were the first novels I’d read by a Scandinavian author. Having enjoyed Larsson’s series I was curious to learn more about Jo Nesbo, a popular Norwegian author who writes crime fiction – a lot of crime fiction. Harry Hole is the main character in a series of, so far, ten crime novels written by Nesbo. Hole is described as a “classic loose cannon” in the Oslo (Norway) police force. He’s flawed, but, of course, brilliant. 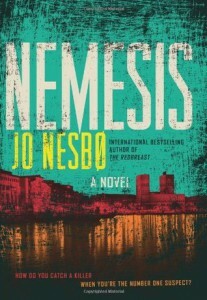 Thus far I’ve read Nesbo’s Nemesis (#4) and The Devil’s Star (#5). Had I known more about the series I would have started with the first book. Even so, the books need not be read in sequence. There’s sufficient detail to fill in the pieces. Nesbo is a prolific writer. His books have universal appeal (at least for the crime fiction crowd). His books have been translated into over 40 languages and have sold over 23 million copies. In addition to Nesbo’s Harry Hole novels, he’s written books in series based on other characters (Doctor Proctor, for one). He’s written stand-alone works (Headhunter is another I read recently) and children’s books. He even finds time to be the lead singer for a band performing a hundred or so gigs a year. Those who enjoy crime fiction, as I do, will find it worthwhile to give Nesbo’s books a try. The name change will become official on Tuesday, Sept. 4, 2012. In the coming months, the new “United for Libraries” name and logo will be featured on the organization’s website and materials. United for Libraries will continue to provide its members, which include friends of the library, trustees, foundations and library advocates, with the best possible specialized resources that will empower them to support and advocate for their libraries. Doreen Kuhlmann is retiring from her Business Manager position with the Nebraska Library Commission effective tomorrow, June 15. Doreen has served as the Commission’s Business Manager for over 25 years. We will greatly miss the many contributions that Doreen has made. Her responsibilities have included management of the Commission’s office services, budget, accounting, personnel, facilities, and more. Her extensive experience, knowledge and good judgment have served the Commission well. We thank Doreen for all her efforts in support of the Commission’s work with libraries, organizations and people across the state of Nebraska. Very best wishes to Doreen on her retirement! The State Auditor’s office posted today an audit report concerning the Library Commission’s purchase and use of game equipment and games. The State Auditor also issued a news release to accompany the audit report posting. The news release has resulted in news stories picked up from the Associated Press (online and on the air) and other news sources. The Library Commission has made available copies of the Attestation report and the Commission’s complete 27-page response on our Web site. Welcome to the Nebraska Library Commission Blog! This new addition to the Commission’s communication and publishing efforts is intended to offer timely posts about activities, events, issues and topics related to Nebraska library services. In many cases short posts will include links to further information. Comments are invited.